Dawn Harms' diverse career ranges from being a chamber musician, violin soloist, concertmaster, to being a music director and conductor. She is a member of the San Francisco Opera Orchestra, Associate Concertmaster for the New Century Chamber Orchestra, and Co-Concertmaster with the Oakland East Bay Symphony. She also records regularly at Skywalker Studios for movies and video games. She is the co-founder and music director of the Music at Kirkwood chamber music festival, and currently serves on the music faculty at Stanford University. After an extensive search, Ms. Harms was recently appointed music director and conductor of the Bay Area Rainbow Symphony. Her inaugural gala concert in September featured Frederica von Stade as soloist. Harms was chosen as a Fellow at the exclusive American Academy of Conducting at the Aspen Music Festival, where she worked with some of the top conductors of the world. Her recent guest conducting engagements include appearances with the Music in the Mountains Festival Orchestra, Palo Alto Chamber Orchestra, the Livermore Amador Symphony, Chattanooga Festival Honor Orchestra, Texas Regional Honors Orchestra, and Symphony Parnassus. She was also invited to conduct the extra shorts on the film Ratatouille, which is exclusively found on the DVD. Her recent solo appearances include Folsom Symphony, Paradise Symphony, Bay Area Rainbow Symphony, Sacramento Symphony, Symphony Parnassus, and the Stanford Symphony Orchestra. She has appeared in chamber music concerts with Frederica von Stade, Nadja Salerno-Sonnenberg, Lynn,Harrell, Eugenia Zukerman, Zheng Cao, and has premiered works with and by Jake Heggie. A strong advocate for music education, she was music director and conductor of the Amarillo Youth Orchestra. She designs and performs her own family show throughout the United States, New Zealand, and Japan. Dawn recently performed her one-woman family show with the Lincoln Symphony in Nebraska, the Oakland East Bay Symphony, Berkeley Symphony, and the Napa Youth Symphony. Dawn plays on her cousin Tom Waits's CDs "Alice" and "Blood Money. Dawn also has two solo CD's, "The Black Swan" and "The Hot Canary" that can be found on cdbaby.com. 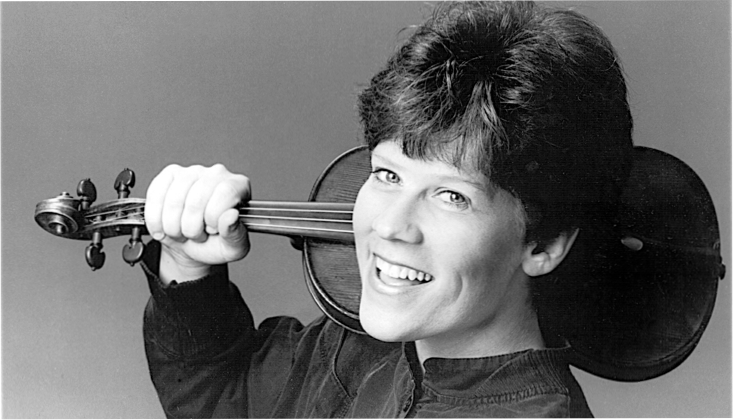 For ten years Dawn was first violinist with the Harrington String Quartet, winners of the Grand Prize at the prestigious Fischoff and Evian International chamber music competitions. She played first violin for five summers with the Santa Fe Opera.